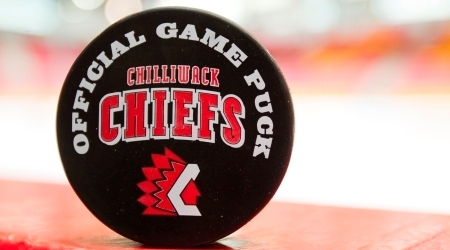 West Kelowna – Road team dominance in the BCHL playoffs continued Monday night as the Chilliwack Chiefs topped the West Kelowna Warriors 3-1 at Royal LePage Place. Road teams won six of eight in the third round, a fact which was written off as coincidence by veteran Chiefs forward Ryan Forbes. But he may have to re-evaluate. Three games into the Fred Page Cup final, the road team is 3-0. Chilliwack has closed the series to 2-1 and guaranteed themselves a fifth game back on home ice Friday night. The Chiefs played a solid road period, out-shooting the Warriors 12-5 through 20 minutes. On their 15th shot of the game, 2:06 into period two, the visitors opened the scoring on a goal by Connor McCarthy. The big blueliner took a pass from Jordan Kawaguchi and fired a wrist shot over the glove of Kelowna keeper Matthew Greenfield. The Warriors answered back on a goal by ex-Chief Garrett Forster. Connor Sodergren got the assist, winning a faceoff in the Chilliwack zone. The puck came to Forster who wasted no time rifling the puck under the right arm of Aidan Pelino. But the Chiefs were back on top less than two minutes later on a goal by Darien Craighead. West Kelowna D-man Scott Allen coughed up the puck to Darien Craighead, who intercepted his pass and got the puck to Vimal Sukumaran. Suk was absolutely robbed by Greenfield, but Craighead followed up, tapping the rebound across the line for his sixth of the playoffs. 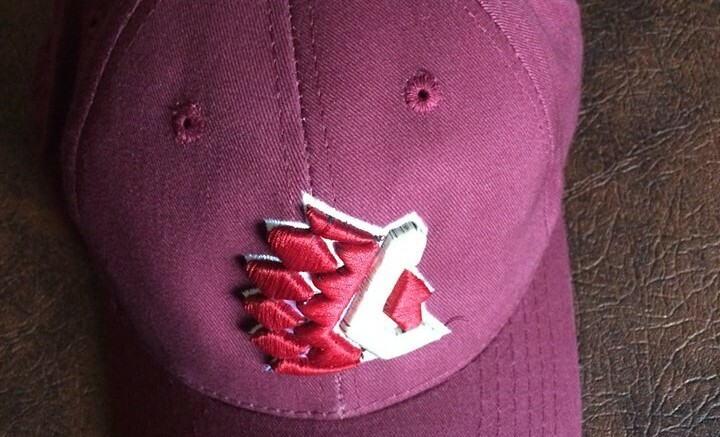 Chilliwack deserved the lead they held through 40 minutes, but they suffered a blow early in the third period when assistant coach Kyle Adams was tossed from the game. Referees Jim Maniago and Grant Tyson, already having a tough night, gave Adams the boot, presumably for something he said about a hit on Chiefs captain Jordan Kawaguchi. Adams usually handles the defenceman. Those duties fell to another assistant, Paul Nicolls. Gooch appreciated Adams’ work and showed it by scoring the third Chilliwack goal. A great individual effort saw Kawaguchi dart out of the left corner, cut through traffic and beat Greenfield with a backhand shot. Seconds later another assistant coach was punted from the game by Maniago and Tyson, but this time it was West Kelowna’s Cory Cross getting the gate. The Warriors pulled Greenfield with more than three minutes left, throwing out an extra attacker but the Chiefs were able to weather one last storm and escape with the win. Ugliness at the end saw West Kelowna’s Kyle Marino cross-check Chilliwack’s Rylan Bechtel at least five times in the head area, earning an unimpressive two minute minor. Marino’s been at the center of lots of activity over the last two weeks, and his brother got involved as well, taking a run at Pelino in the last 10 seconds. Be the first to comment on "Chiefs Bounce Back In Game Three"